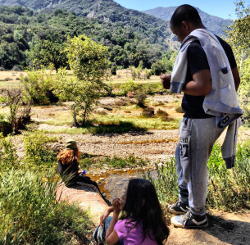 Join us for our annual Spring Break Family Camping Trip in Malibu, CA. Leo Carrillo State Park has 1.5 miles of beach for swimming, surfing, windsurfing, surf fishing and beachcombing. The beach also has tidepools, coastal caves and reefs for exploring. Giant sycamores shade the main campgrounds. The park also features back-country hiking. $30 per person. Price does not include parking which is $12 per day and paid onsite.